The Society of Motor Manufacturers and Traders (SMMT) has released new car registration figures, showing that, while down 1.7% on May 2010, sales figures are in line with forecasts for the year. 150,431 new registrations were made in May 2011, down 2,664 on the same month last year. Diesel cars continue to sell well, with a 52.9% share of the market. 1.1% of vehicles registered were powered by alternative fuels, such as electricity. More than half of new registrations were for fleet cars, while 47% were private buyers. Private registrations over the duration of the year were down 18.9% on 2010, with an unsettled economic climate the most likely cause, although scrappage scheme registrations skewed 2010 results. The Ford Fiesta remains the most popular new car this month, selling 8,135 units, with the Focus in second place and the Volkswagen Golf in third. 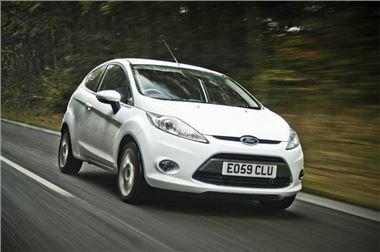 The Fiesta and Focus are the two most popular models overall in 2011.